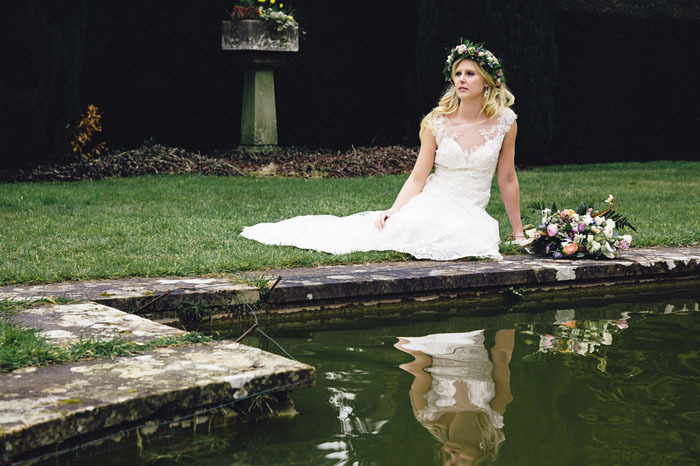 Framed against the fairytale surroundings of Barnett Hill near Guildford, this magical bridal shoot unites the talents of local Surrey suppliers. Coordinator, Gilly Keat of Amore Star Events, details how the shoot was put together. 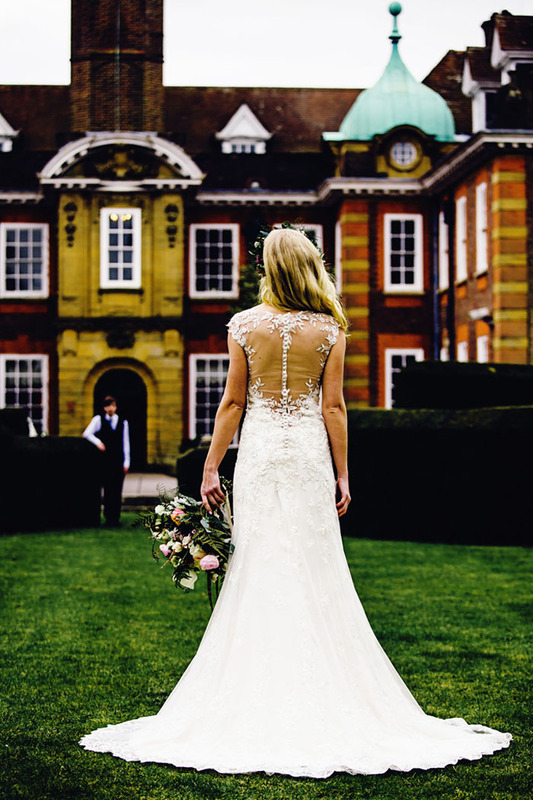 This inspirational editorial is set in the grounds of Barnett Hill in Guildford. 'Love. 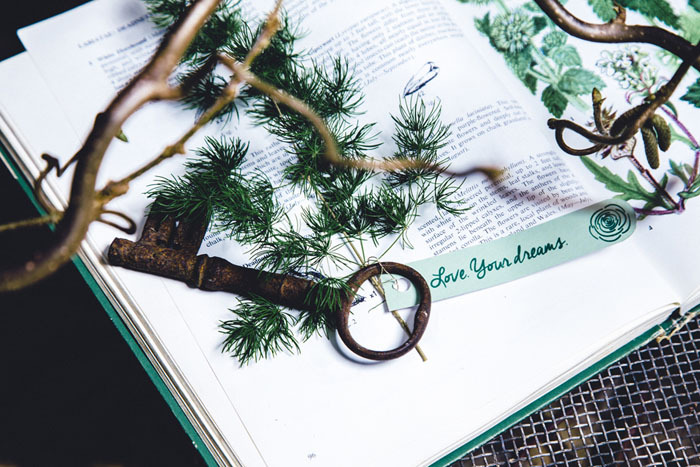 Your dreams' is the story imagined by our incredibly talented photographer, Elton Mogg . It features a young girl who discovers a magic key in a small wendy house that has been reclaimed by nature. The key has a small label attached to it which reads: “Love. Your dreams”. As she picks it up, it transforms her into a flower girl complete with real woodland fairy wings. 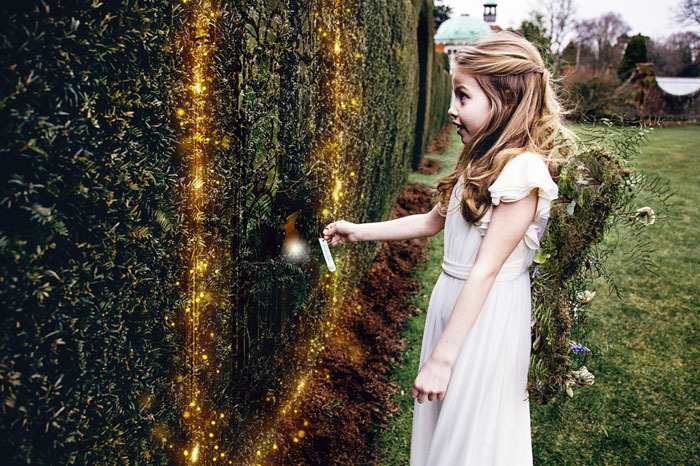 She explores the beautiful gardens until she discovers a magic door in a hedge. The young girl cannot help but open the door. Upon entering, she transforms into her older self. 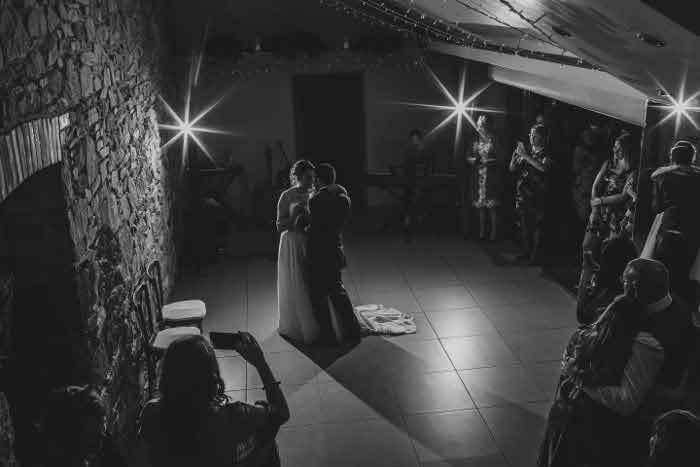 An adult who then gets to experience her dream wedding. 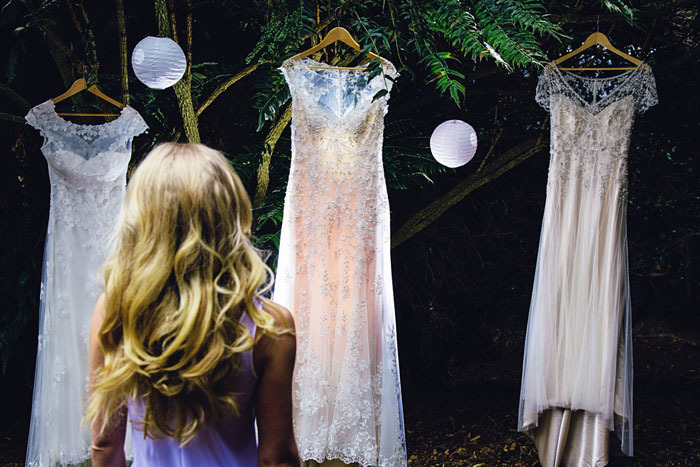 With all the elements themed around a secret garden, the bride finds her gowns which are floating amongst the trees in the woodland. 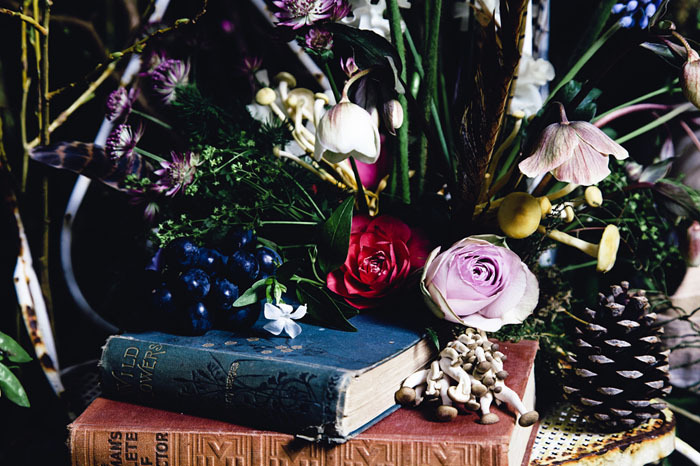 She then comes across a flower crown nestled within the bushes, discovers jewellery, a table layout, stationary, shoes, button-holes and a bouquet before seeing a tantalising glimpse of her future husband. The tale completes with our original child asleep back in the wendy house where we first found her. Was it all just a dream? Upon waking, she discovers a bell jar by her bed. 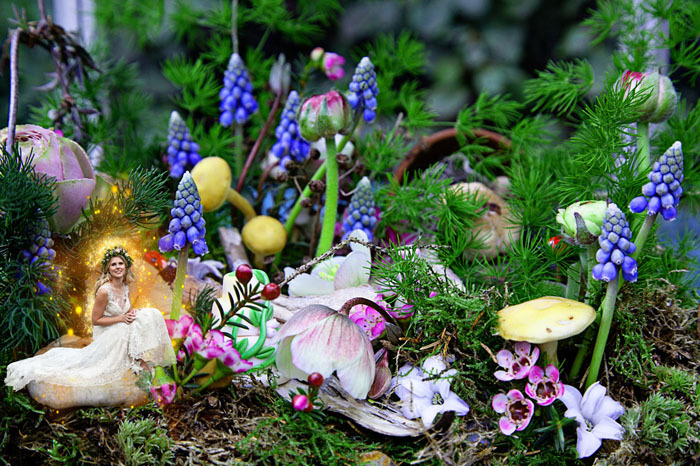 After closer inspection, she sees a magical miniature bride, the bride she was, sitting inside a magical tiny fairy garden…. 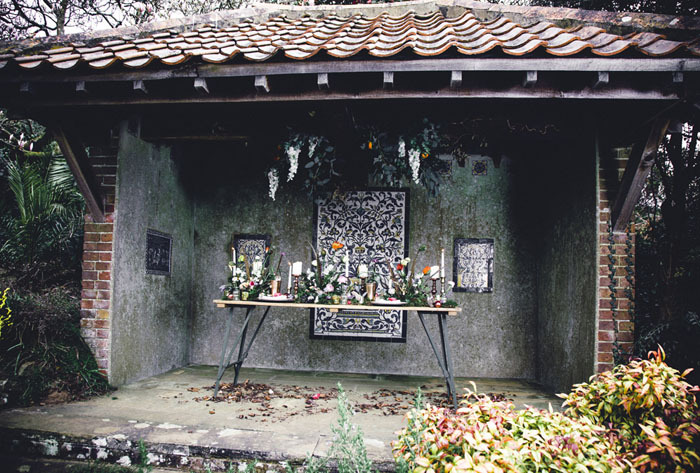 Some of our suppliers had visited or worked at Barnett Hill near Guildford and had seen its potential for a secret fairytale style concept. 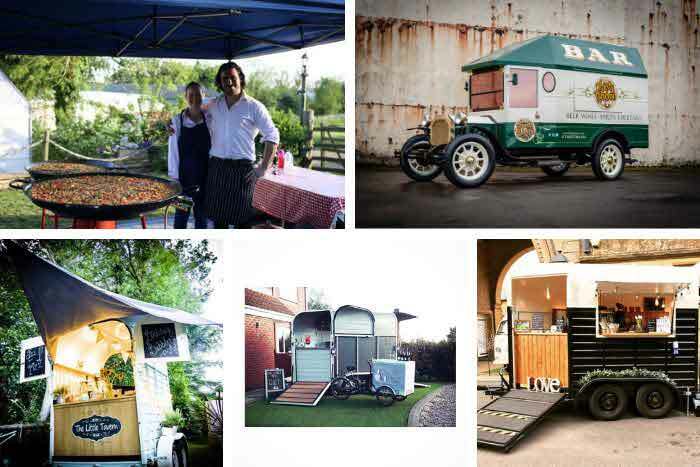 Elton’s vision came to life after a few of us had a brainstorming session at the venue and whilst wandering through the beautiful gardens and woodland earlier this year, completely fell in love with it. 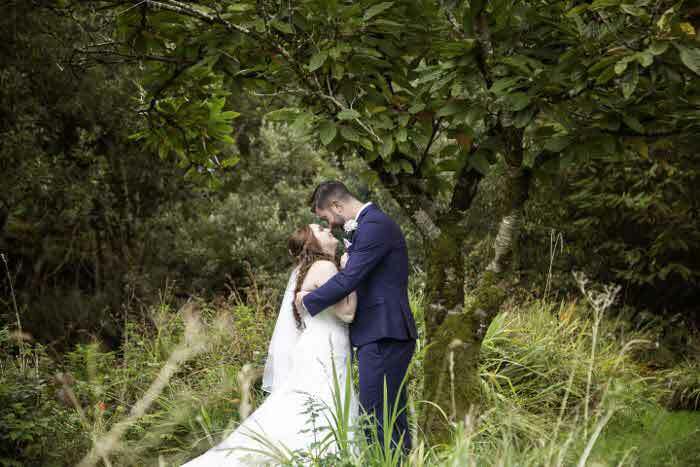 The Queen Anne style country house is nestled amongst 26 acres of land, so we were spoiled for choice for shooting locations. 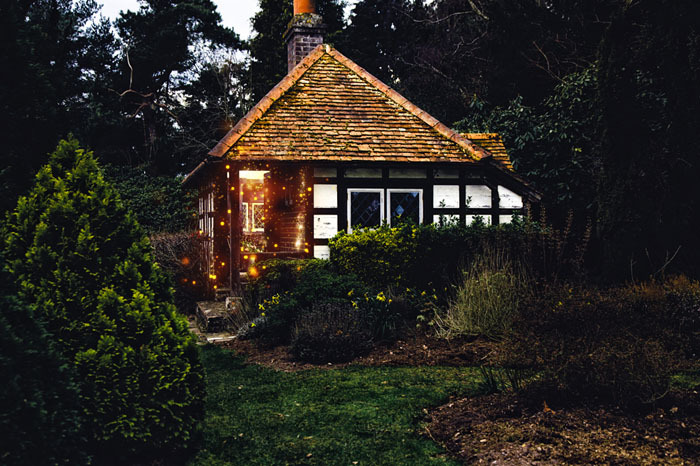 We focused the shoot in the grounds; my favourite place became the little outhouse or wendy house as we call it, which is hidden away within its own private garden. 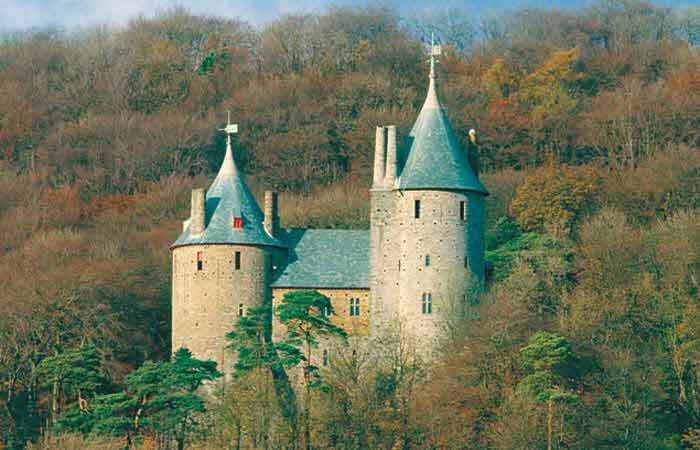 This is where Elton had imagined the house to have been reclaimed by nature, its own little fairy house. Barnett Hill has brilliant transport links to London, but is tucked away enabling you to meander through the woodland walk, with stunning views over the Surrey hills. 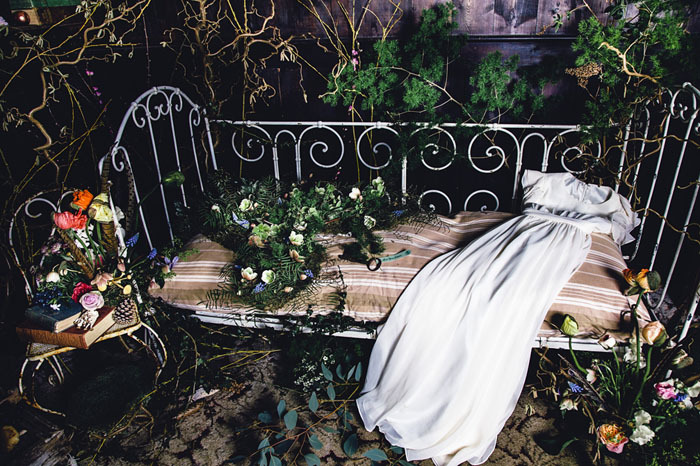 Hannah of Hannah Berry Flowers and her team wanted to create a truly magical wonderland. 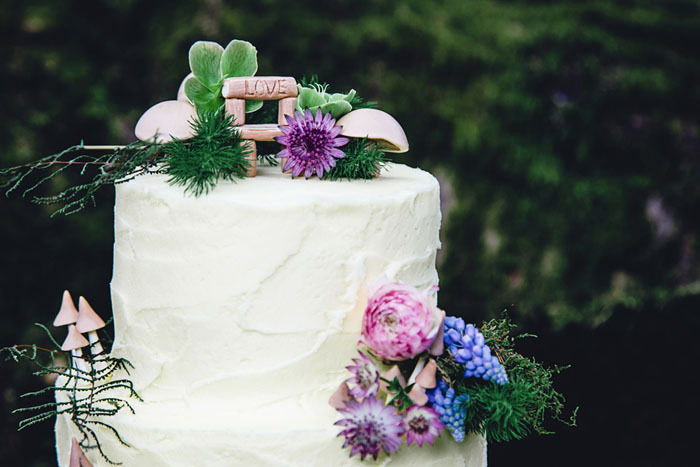 We chose flowers with natural movement such as Iceland poppies, hellebores, ranunculus, and incorporated pheasant feathers, moss and foraged finds for a woodland earthy feel. 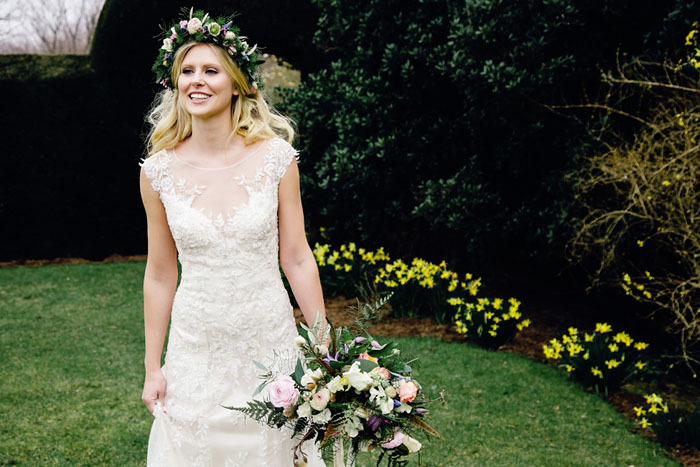 The adult bride wore a floral crown and anklet and carried an oversized, unstructured bouquet in-keeping with the natural feel. 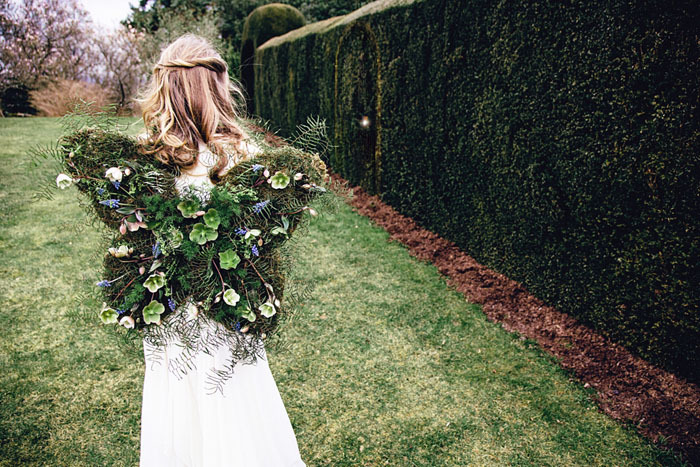 Our child bride was lucky enough to come across a set of adorable ‘natural’ fairy wings, made of moss, which I can see will fast become a flower girl trend for 2017. 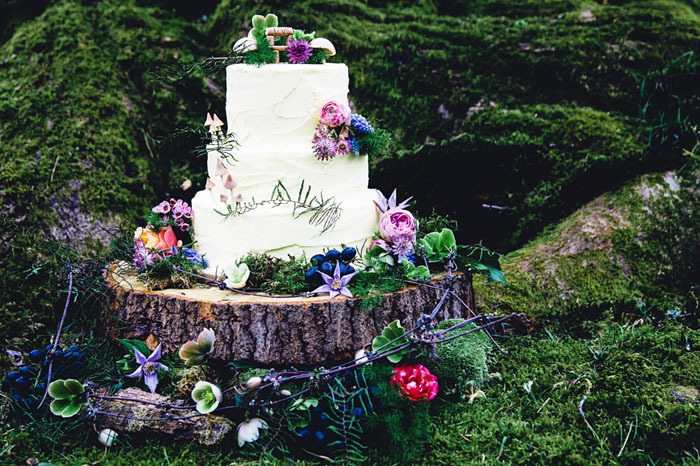 The bell jar, which is discovered at the very end of our story, is a miniature version of the woodland, complete with a mini wedding set up and a fairy bride. 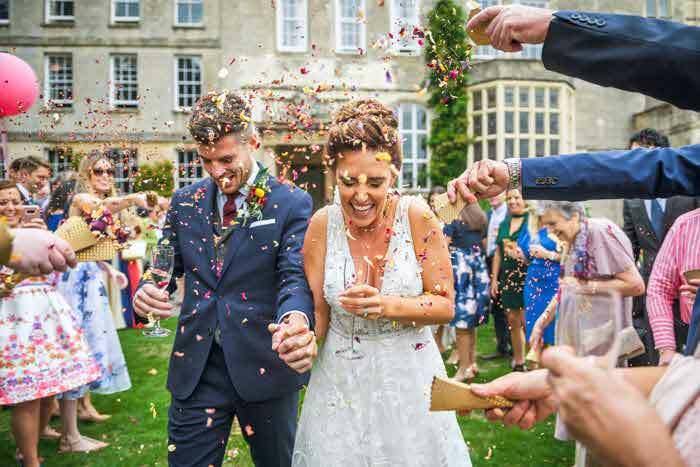 Natasha Wiggins kept the bride's make-up neutral, using a pastel and blush colour palette, creating a dewy and relaxed look. 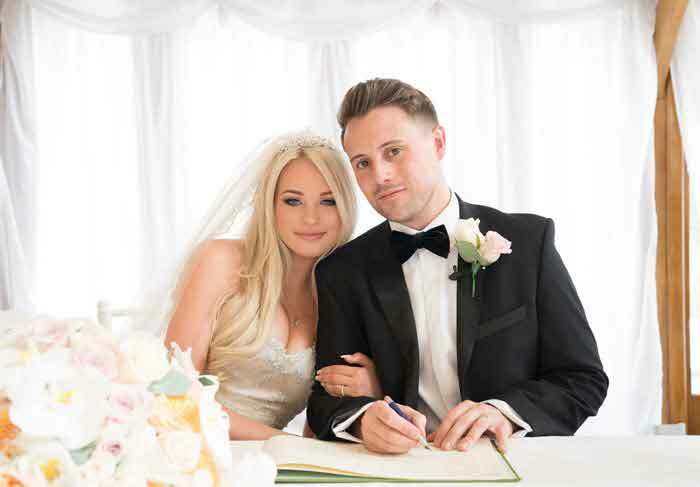 The bride's hair was kept loosely tousled, to enhance the romantic and natural concept. 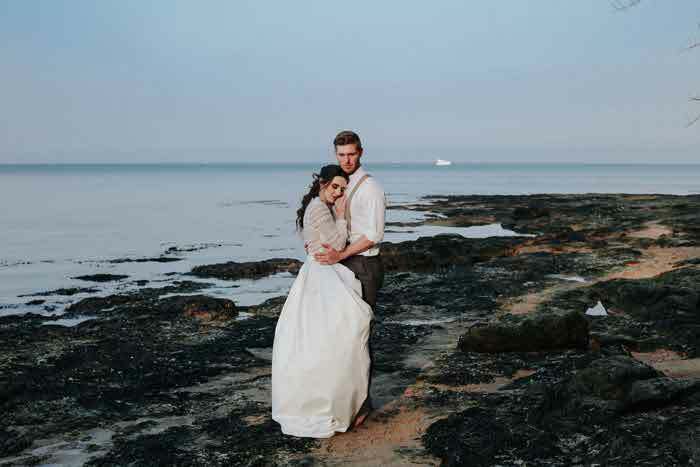 Amaryllis Bridalwear provided us with our array of stunning bridal gowns, each providing a traditional, elegant and opulent aspect to the shoot. 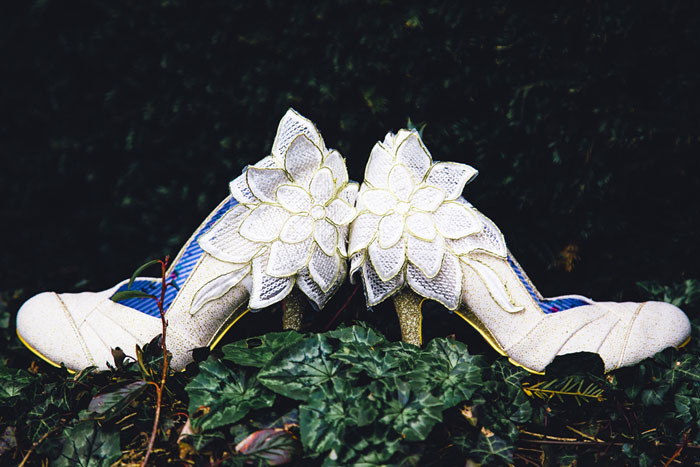 The bride also wore a pair of white Irregular Choice bridal shoes, which were embellished with gold glitter heels and a floral design, complementing our floral elements. 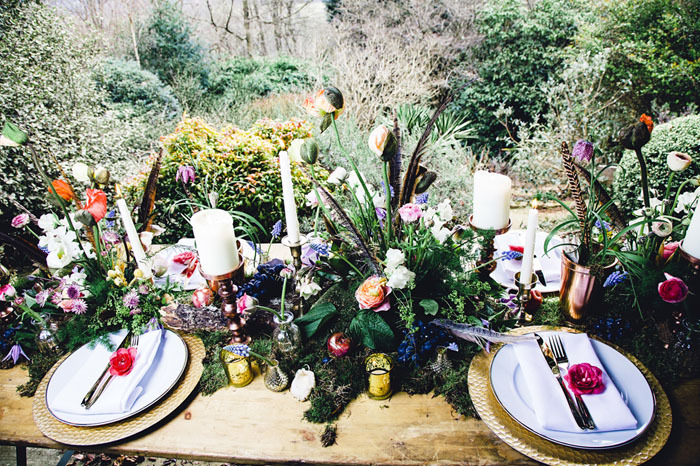 Hannah and I styled the bridal table using moss, succulents, bark, foliage, wild mushrooms and gold spray painted fruit, creating a natural, textured, almost reclaimed-by-nature feel. We then contrasted this with elegant brass candlesticks, gold cutlery, charger plates and gold-rimmed crockery to inject a touch of luxury into the concept. We have seen plenty of raw table set-ups in styled shoots over the last couple of years, but we were determined to do something a little bit different. We allowed the flowers and foliage to appear as if they were growing out from the table to create a woodland feel and suspended a floral display above the table to bring a bit of height and dimension to the bridal banquet. 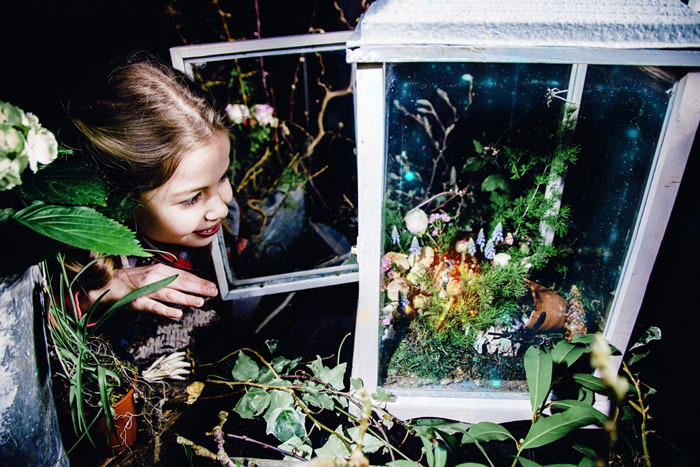 Within the wendy house, Hannah and her team brought in twigs, twisted willow, foliage and leaves to bring the outside, inside. 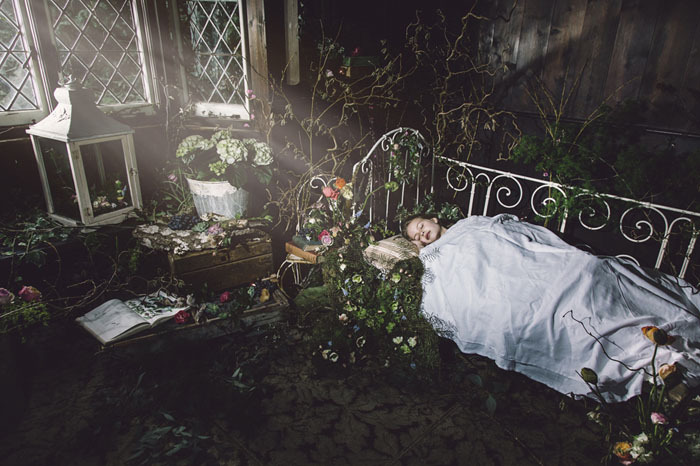 The child’s bed appears to be reclaimed by the surrounding woodland, enhancing the ethereal concept. 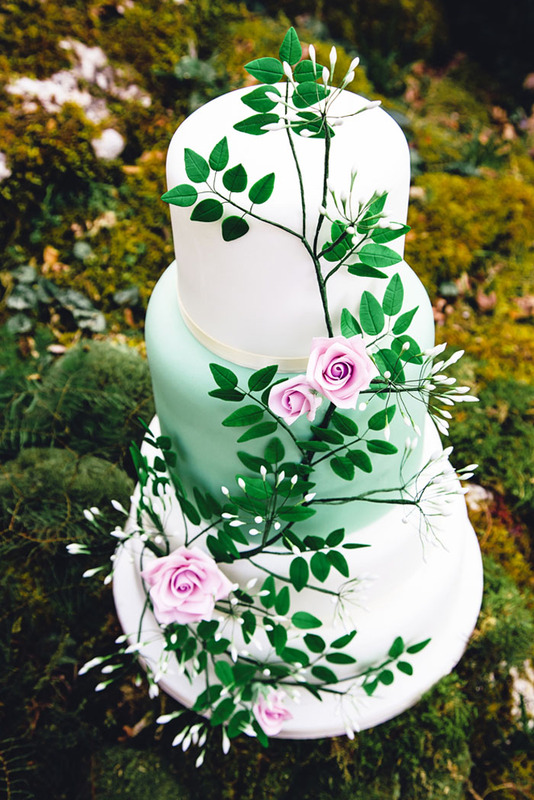 Our incredibly talented cake designer, Karen of Kasserina Cakes incorporated our concept into both of her designs as well. 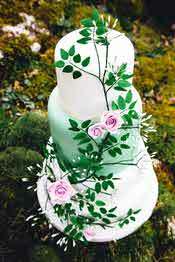 The first was a simple three-tiered butter cream cake adorned with mushrooms, and real flowers. The second was a three-tiered white and leafy green design which had sugar flowers, and vines climbing up the layers, reinforcing the ‘reclaimed by nature’ aspect of the concept. 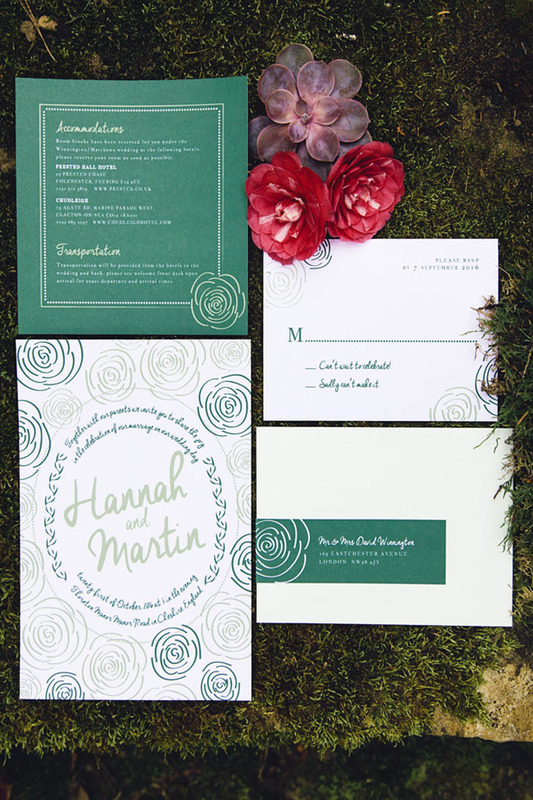 Our wonderful stationery designer, Jennifer of Jennifer’s Paper, designed us a simple wedding suite in dark and pale greens and white, which worked perfectly in our natural setting. Designing stationery to match your theme or wedding concept is a really easy, yet effective way of tying your entire celebration together neatly. Finally, Elton ensured that he captured every element of the story and through clever editing, he added sprites, fairies and a magical element creating the storyboard of images. 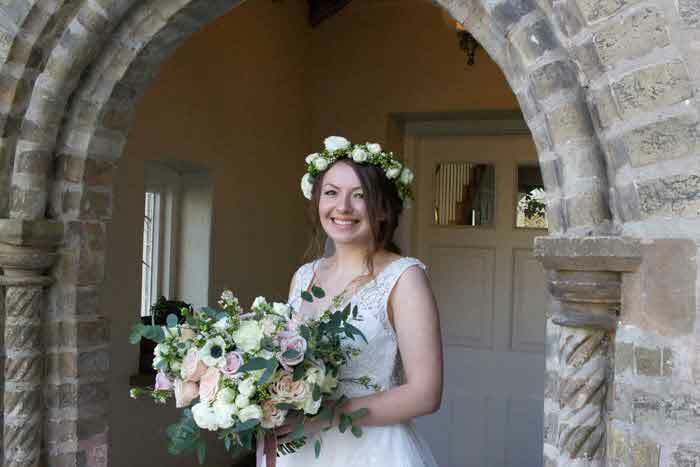 Our talented florist developed the moss fairy wings, floral crown and anklet which were complemented with silver jewellery pieces provided by Kim Styles. 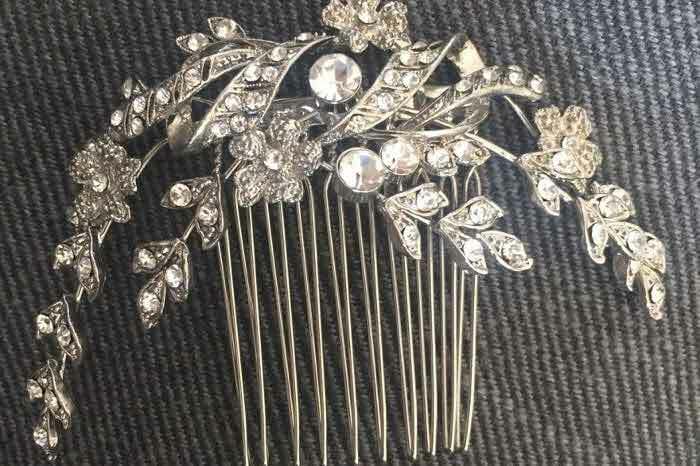 Kim makes all of her items by hand, and designed a few pieces specifically for our secret garden concept. 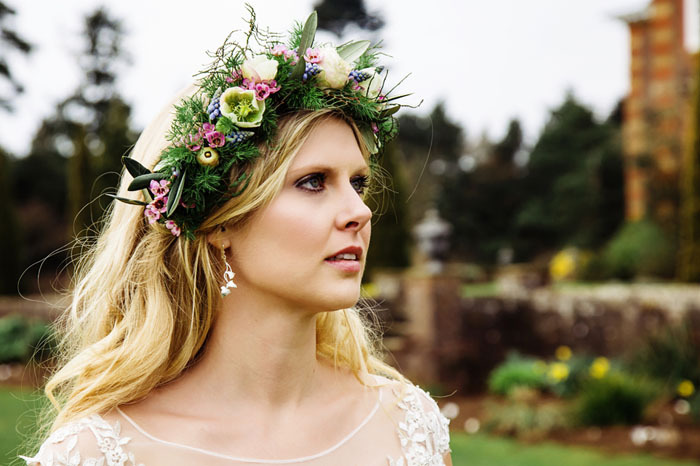 Incorporating flowers, leaves and petals into her pieces, Kim’s jewellery gave our bridal look a quirky edge. 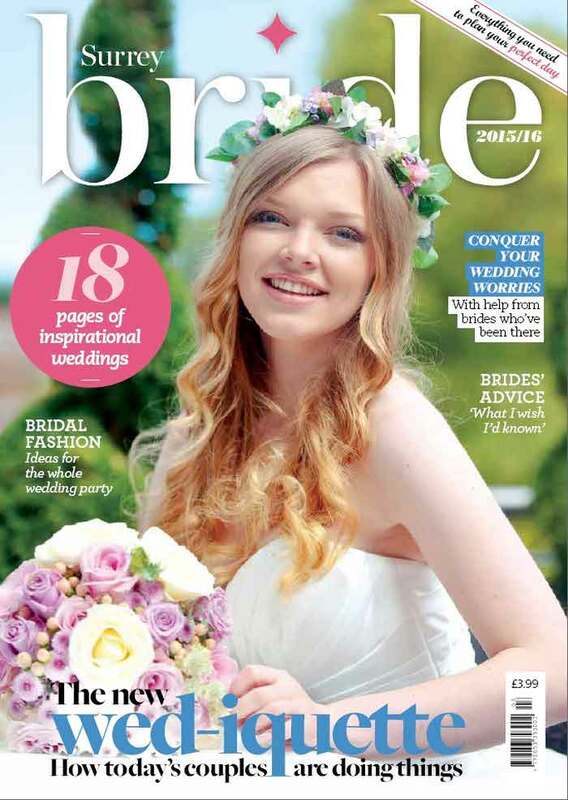 Get more Surrey bridal inspiration from Surrey Bride magazine.